Brendan Clarke; Simon Madden, Michael Leahy, Kevin Toner, Lee Desmond; Conan Byrne, Ryan Brennan (Conor Clifford 64), Jamie Lennon (Graham Kelly 82), Dean Clarke (James Doona 74); Darragh Markey; Ian Turner. Evan Moran; Dylan Hayes, Darragh Gibbons, Conor Kenna, Kevin Lynch; Sean Harding (Alex Rafferty 89), Rhys Gorman, Gary McCabe, Jake Kelly (Darragh Noone 77); Jake Ellis (Dragos Mamaliga 63), Ger Pender. 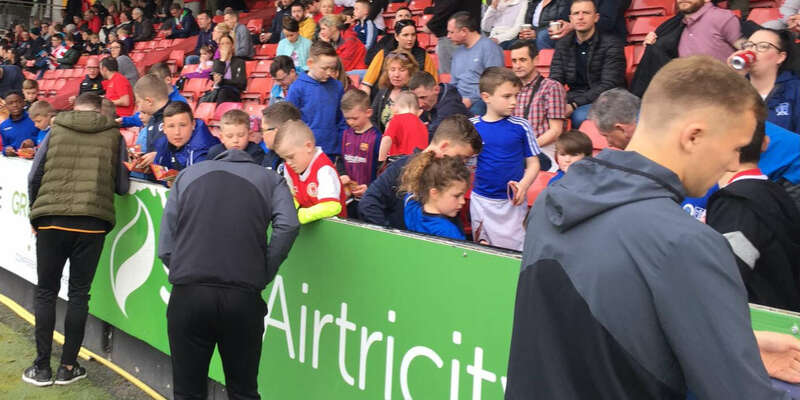 Ryan Brennan, Ian Turner and Graham Kelly delivered the goals as St Patrick's Athletic had more than enough to see off bottom-of-the-table Bray Wanderers, who finished with 10 men, in their SSE Airtricity League Premier Division clash at Richmond Park. Having worked a one-two with Darragh Markey, Dean Clarke brought a save from Evan Moran in the Bray before Brennan headed over at a stretch from a Simon Madden cross as St Pat's strove to add substance to their early possession. 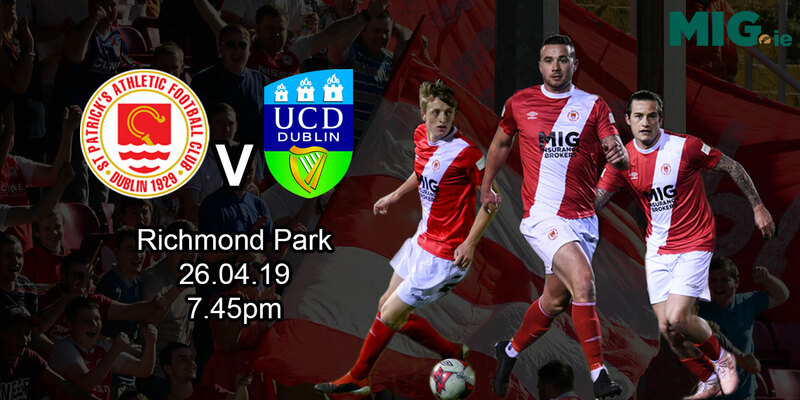 The home side maintained the pressure with Jamie Lennon's awareness in intercepting a loose Bray pass getting Conan Byrne in behind to see his shot deflected wide. From Byrne's resulting corner, Michael Leahy brought the save of the first-half from Moran, who tipped the defender's header over the bar. As ever this season, Gary McCabe was Bray's chief driving force, worrying St Pat's with a surging run and shot that was straight at Brendan Clarke just on the half-hour. But it was incisive play from Byrne at the other end that led to the deadlock being broken on 32 minutes. 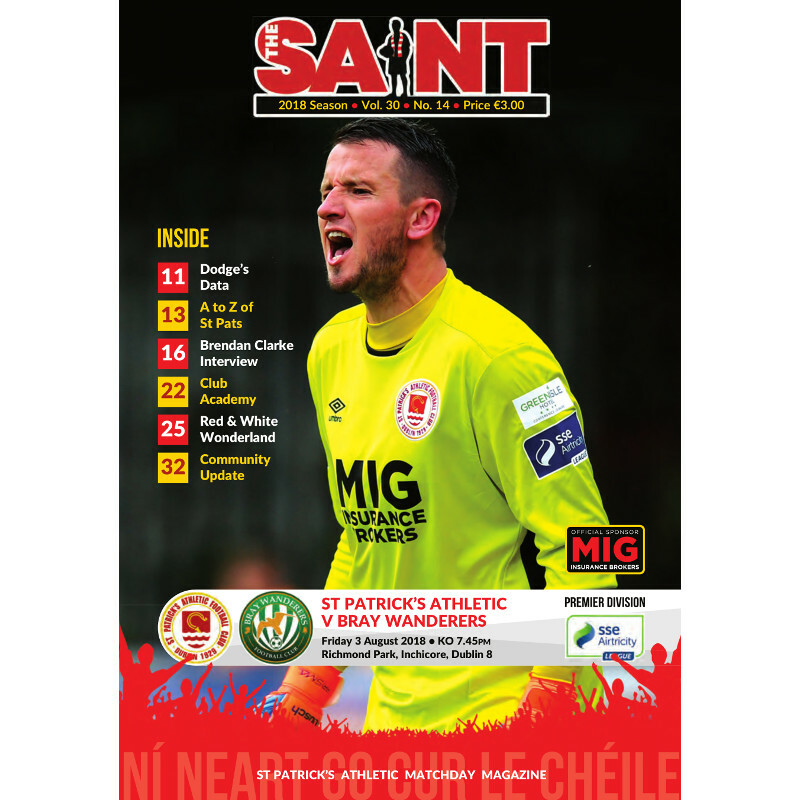 The St Pat's winger skipped inside a couple of challenges before the ball ran for Brennan who had the awareness to look up and post a first time right-footer from some 25 yards beyond Moran and into the net for his fourth league goal of the season. Far from lining down, Bray finished the half strongly with recent signing Sean Harding prominent. The midfielder crossed to see Jake Kelly's looping header come back off Clarke's crossbar before rifling a drive from distance inches over the top. 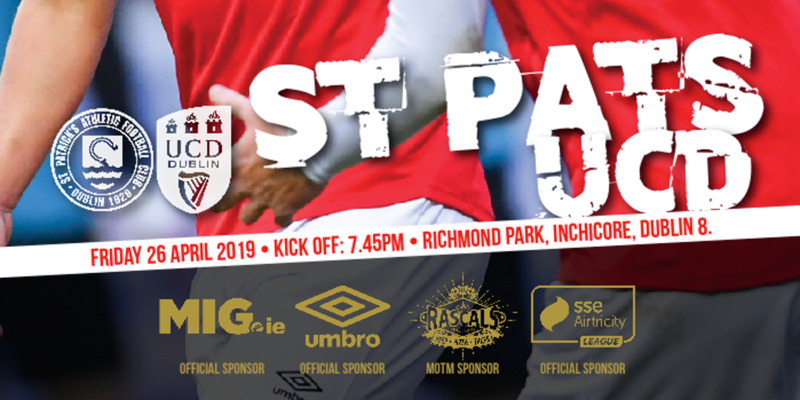 Lee Desmond powered a header narrowly wide from a Byrne corner early in the second half as St Pat's regained the initiative. And they duly doubled their lead 10 minutes in. Again Byrne was involved, crossing from the right, to set up makeshift Ian Turner who swept home from inside the area for his first league strike of the campaign. Frustration got the better of Bray's McCabe who was shown a second yellow card, and sent off, on 76 minutes for a nasty challenge on Jamie Lennon. Substitute Kelly then headed home a Byrne cross for St Pat's third goal three minutes from time.